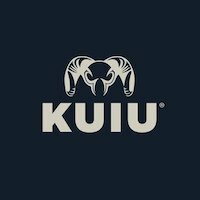 KUIU hunting gear is a direct to consumer brand founded by former NFL player Jason Hairston, who had a “vision to bring the lightest and highest performance technical fabrics and designs directly to customers through a radically transparent business model,” according to KUIU’s About page. KUIU hunting apparel is made for every season, and includes shirts, jackets, pants, hats, boots, and a wide range of hunting accessories. They also have a helpful grouping of hunting gear by season, on their Gear Lists page. KUIU has a showroom in Dixon, California. Check out their Brand Video below for a great explanation of how they eliminate middlemen and invest the savings into higher-quality products, which results in a premium product at standard prices!